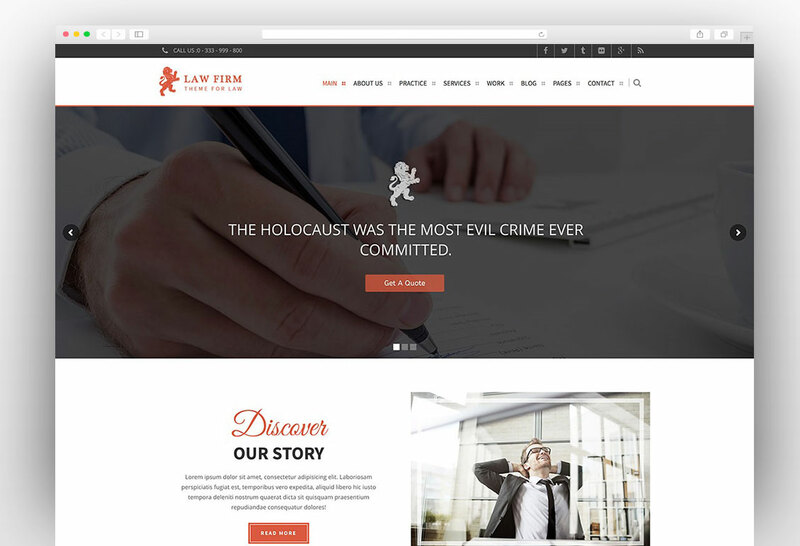 The best collection for lawyer WordPress theme that can be used by individual attorneys, lawyers, and law firms. All of these themes are highly customizable to meet your requirements. Each theme comes with multiple layouts and rich options panel which make them easy to customize. The lawyers and law firms can make millions from their business and hence they need a very strong presence both online and offline. Surviving in the modern era of business without an impressive website is almost impossible for most of the business areas. 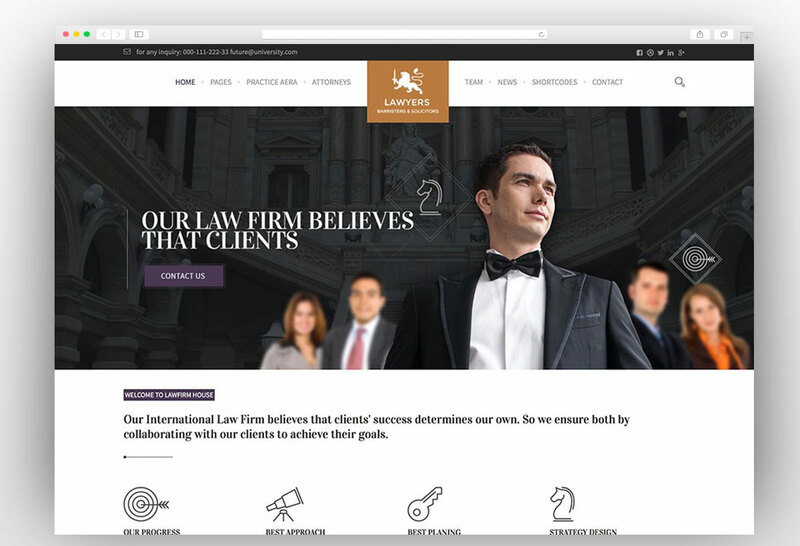 Law firms and individual attorneys need a very unique and creative website to stand out of the competition. 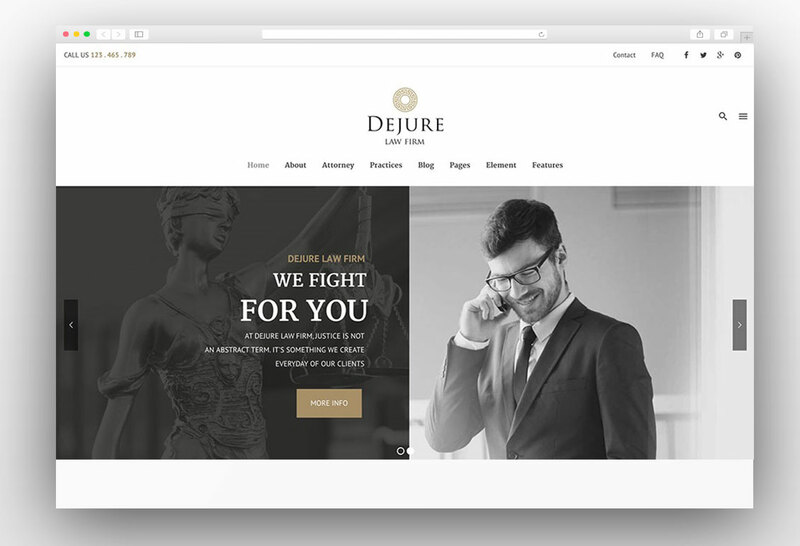 We have compiled a list of best WordPress themes for lawyers, attorneys and law firms which can let them start a website and make the online presence to take an edge over competitors. 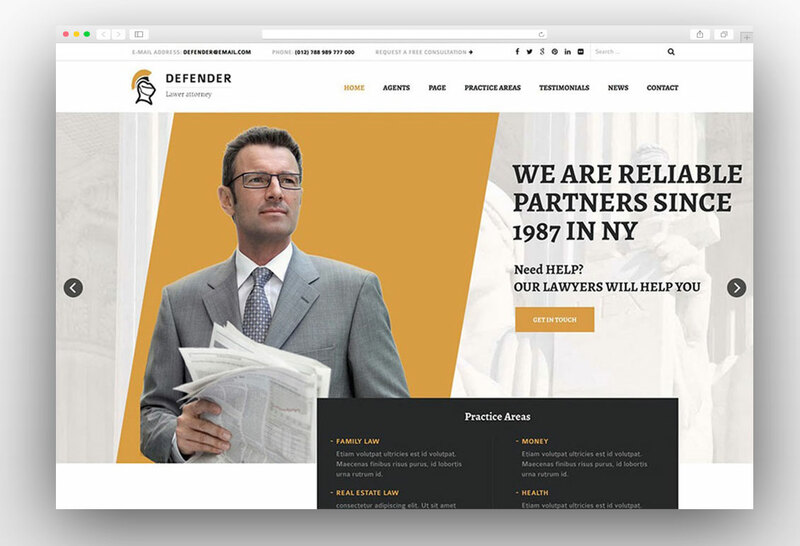 Here are the best lawyer WordPress themes that can be used by individual attorneys and law firms. The Gem is a powerful WordPress theme that comes with more than fifty pre-made layouts to meet your all requirements. 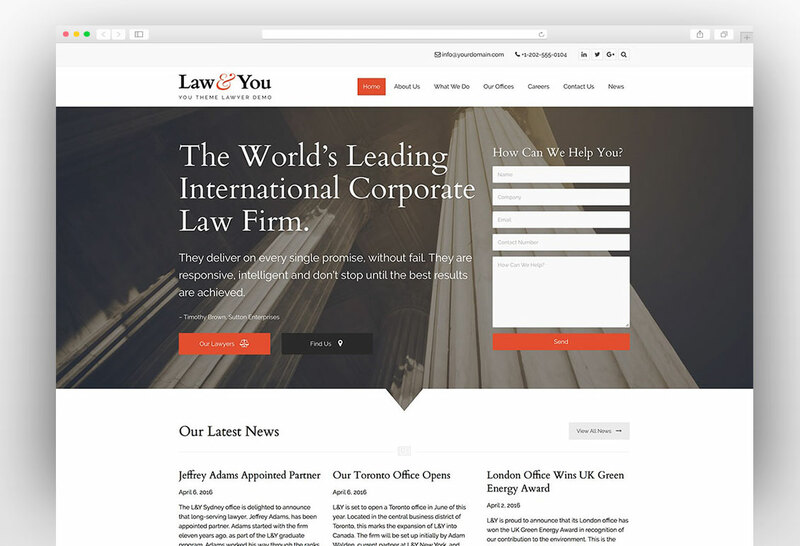 The layout for lawyers and law firms is very impressive and it has all the elements that a law related website needs. 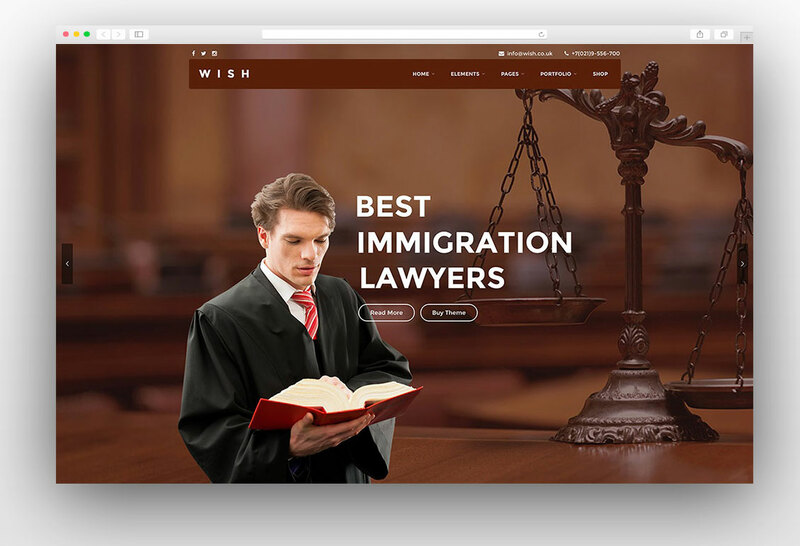 This is a perfect WordPress theme to show your achievements in the legal area and show the testimonials to the potential clients. 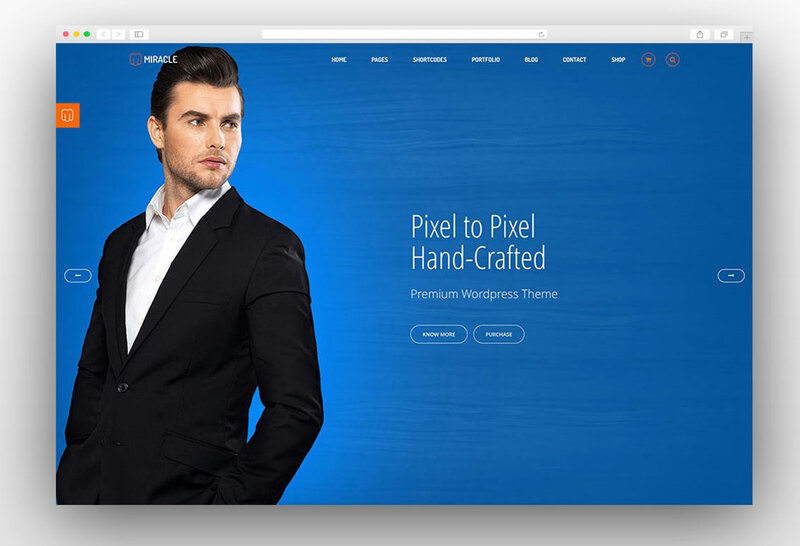 The theme is fully responsive, retina ready and it looks amazing on devices of all the sizes. 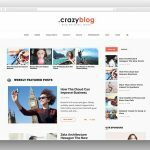 The theme comes with rich options panel with makes it super easy to customize this beautiful WordPress theme. 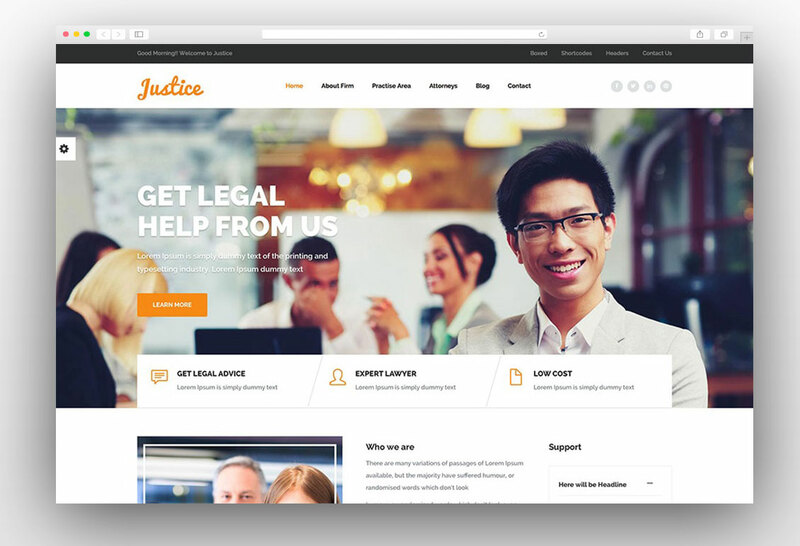 Justice WordPress theme is specially designed to cater to the needs of business and law-related businesses and service providers. It can be used by Solicitor, Legal Advisor, Lawyer, Legal Office, Barrister at Law, and Counsel sites. The theme comes with the visual composer which makes the customization very easy and you can get exactly what your business website needs. There is an option of importing the demo content by just one click. 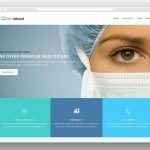 Justice law WordPress theme has rich options panel that makes every customization possible even without any coding knowledge. You is the multi-purpose theme that comes with rich options panel making it very easy to use for the persons with no coding experience. It is a multipurpose theme and it has a large number of ready-made layouts. 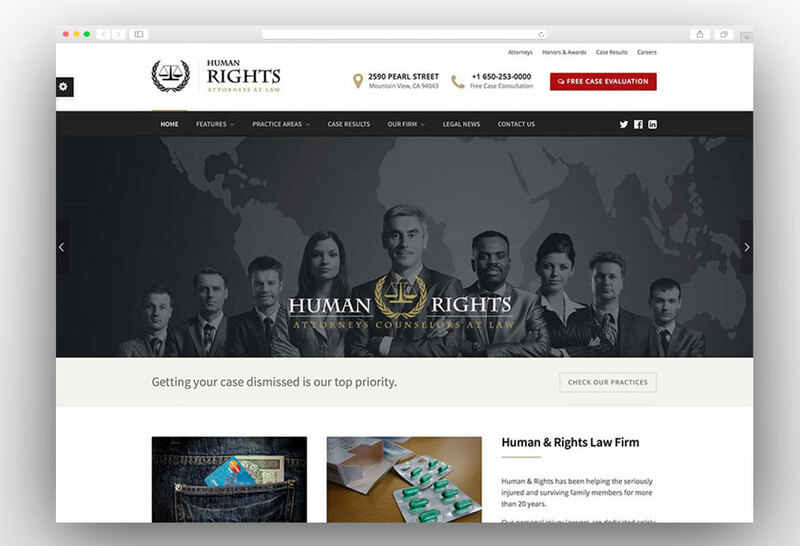 It has a demo layout for lawyers, attorneys, law firms and other related businesses which these entities can use for their strong online presence. 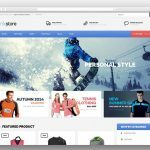 The theme is compatible with woo commerce and bbpress plugins and it has unlimited headers to choose from. 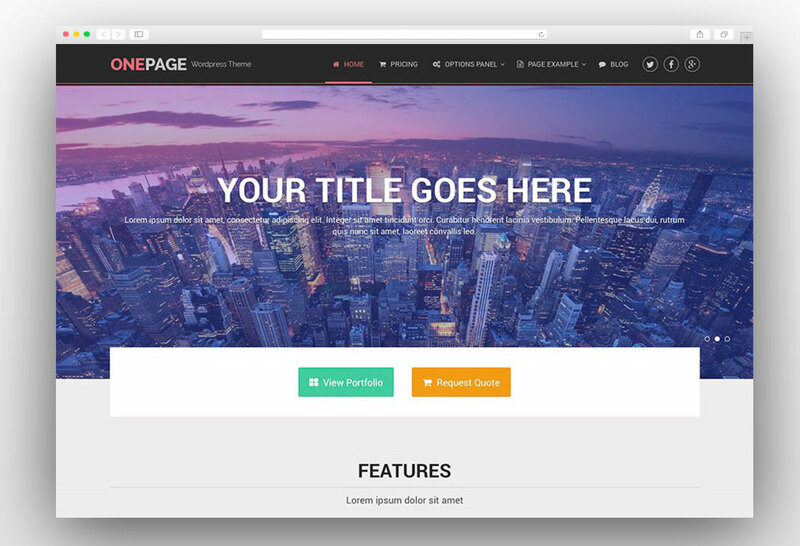 The theme has built-in visual page builder to design anything with ease and without experience. 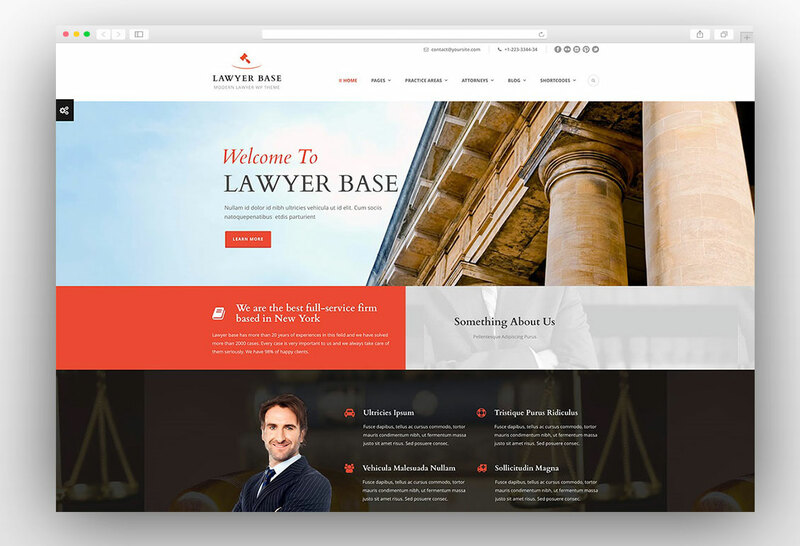 Lawyer Base is specially designed theme for counsel, law firm, legal officer, adviser, solicitor, consultant, and finance websites. 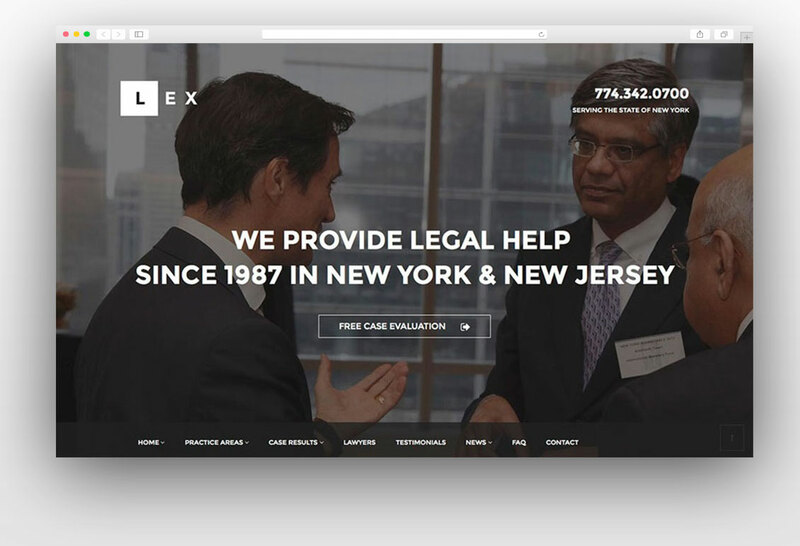 This theme has all the elements which a legal services provider needs. 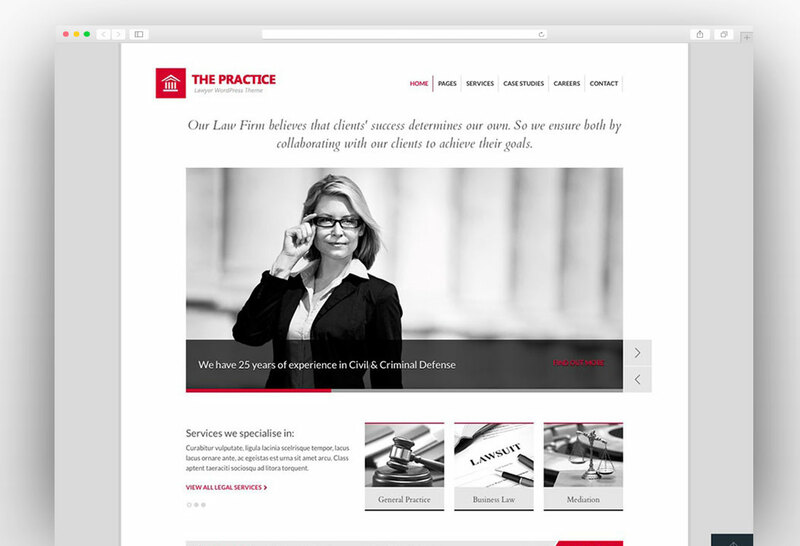 You can create very impressive lawyer profiles and present the practice areas in a very impressive way. 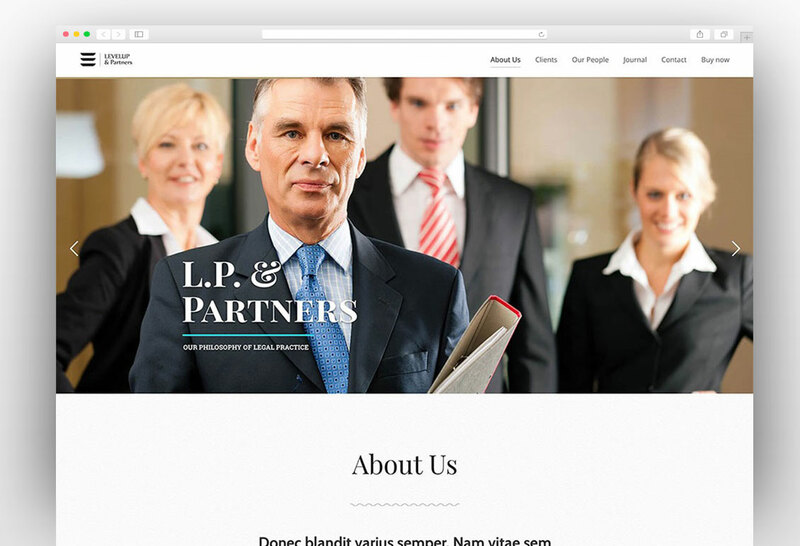 Lawyer Base is clean and fully responsive WordPress theme that has custom post formats. It is compatible with all the browsers available in the market and it has rich theme options panel which makes it easy to customize. The master slider allows you to manage the slides on the front page as per your requirements. 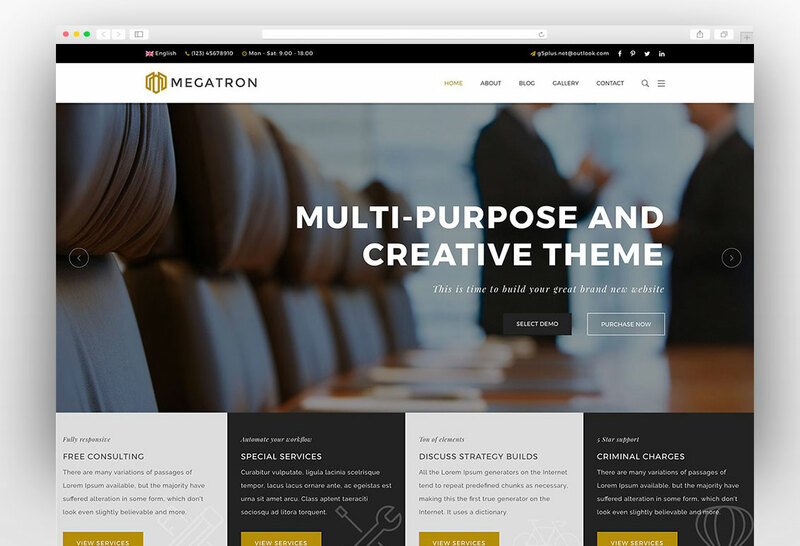 Megatron is a multipurpose WordPress theme powered with features like rich theme options and pre-built templates which help you to create the website in a matter of minutes. 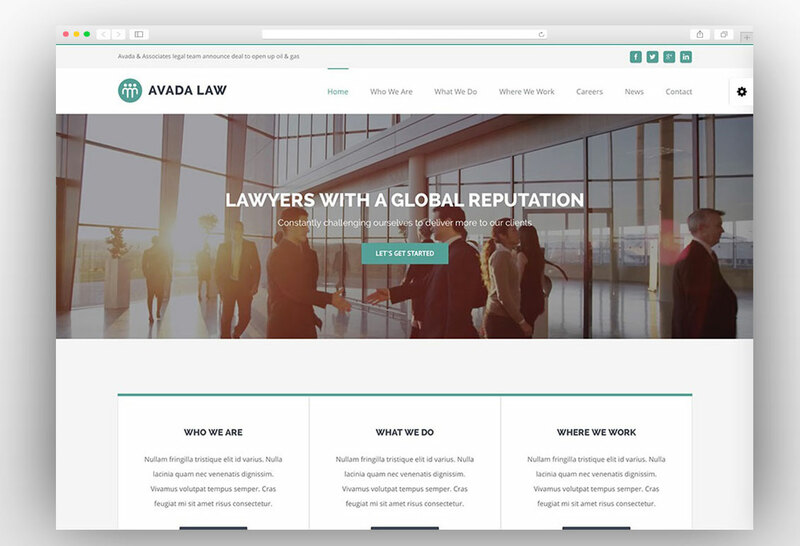 This theme should be your choice if you are looking to create a website for a law firm or independent law consultants. 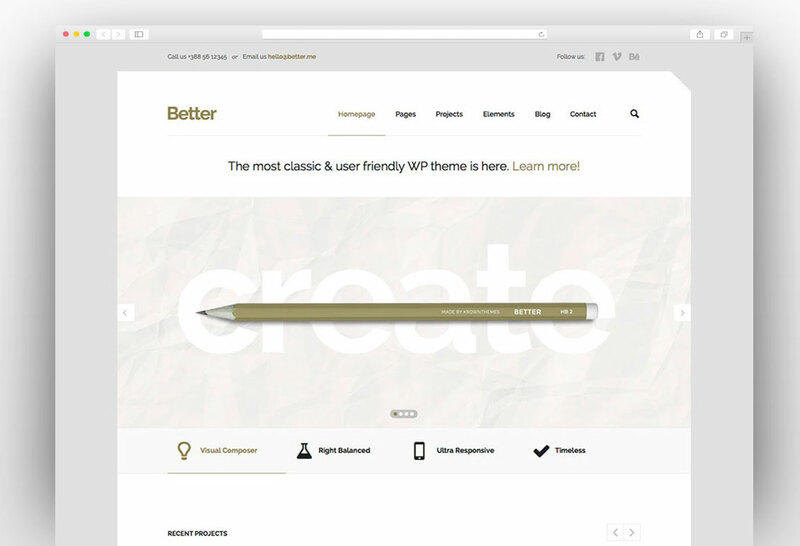 The theme is packed with premium plugins to give you extra options to tweak your website. 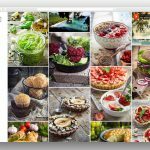 If you want to create your own layouts and don’t want to use the pre-built demos then you can use the Visual Page Builder to create stunning websites. LEVELUP is a feature-rich, robust, fully responsive and modern WordPress theme which comes with more than 60 pre-made demo sites and pre-made pages. It doesn’t matter which industry you are working in; this theme suits any kind of website and you create a perfect website using this wonderful theme. The theme is fully responsive which is considered an important ranking factor nowadays. The theme has a powerful admin panel which empowers you to control different elements of your website. 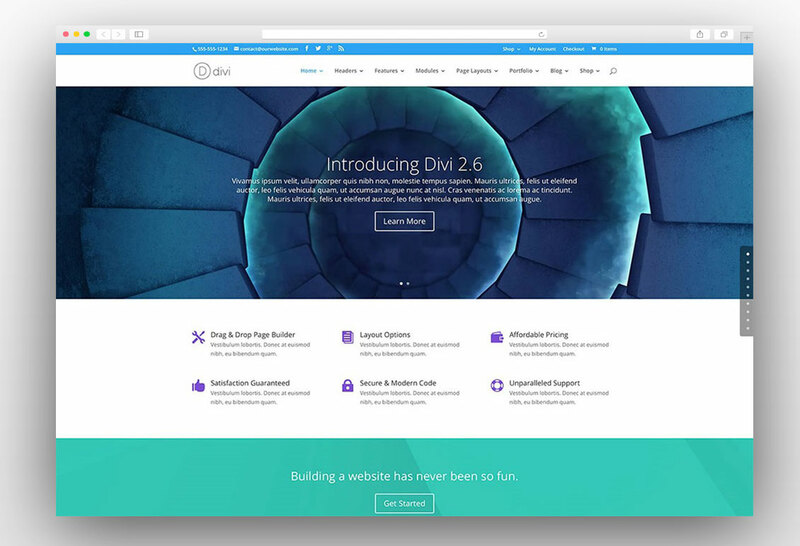 Pre-build pages and demo home pages are a great source for starting your website quickly. Some amazing features of this theme include. 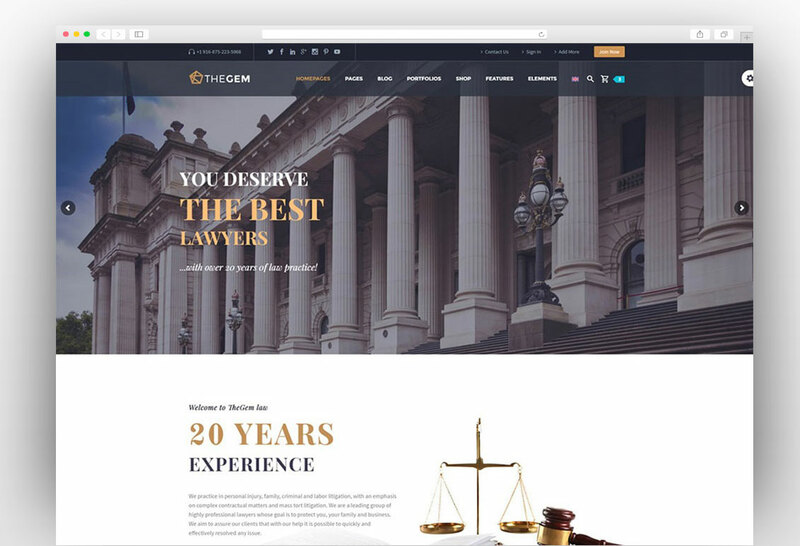 This theme is specially built for the layers and law firm websites and it comes with a complete recipe which you need to create perfect legal service websites. The clean and modern layout make this theme brilliant for showcasing your work to your potential future clients. As the theme is made specifically for this purpose so it comes with the team, case study, and practice options. 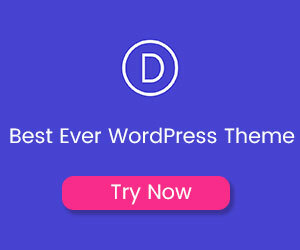 The theme has amazing features like one-click demo install and page builder so that you can create a website without any problem. You can offer your services in multiple languages as the theme is compatible with WPML plugin. 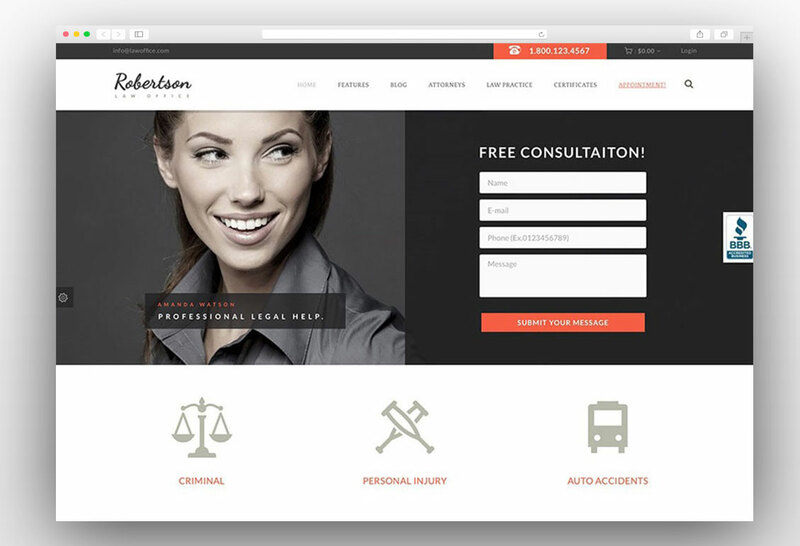 It has all the necessary functionality to present legal services online.